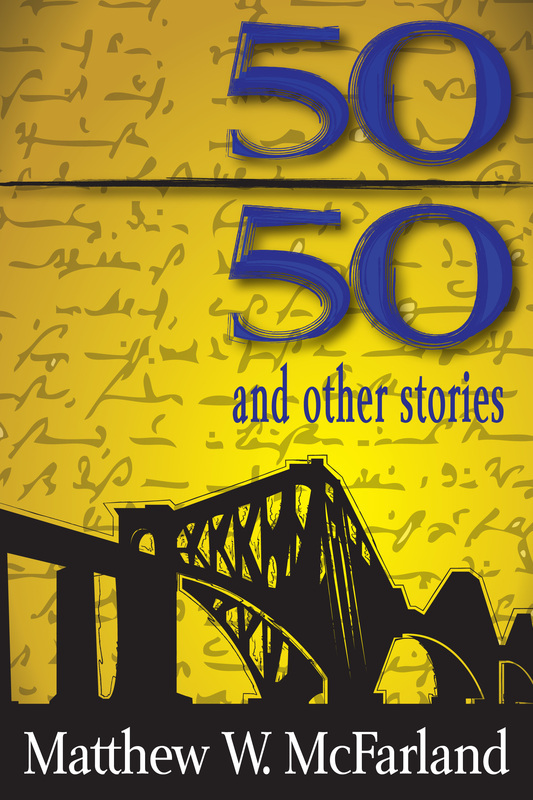 Fifty/Fifty and Other Stories is a collection of eleven outstanding short stories by Northern Irish author Matthew W. McFarland. In 'Fifty/Fifty', a policeman is called out to an attempted suicide on the iconic Forth Rail Bridge. His previous experience with 'jumpers' has led to one death and one life saved - his current record is fifty/fifty, but all that is about to change. In 'Defenestration', a man is thrown from the twelfth storey of a building in mysterious circumstances. As he falls towards almost certain death, he contemplates his fate, killer whales, flying cats, and the untapped potential of the human mind. In 'The Burning Bar', a man enters a burning building to rescue the love of his life, and becomes trapped, as the whole place collapses around him. Will he manage to escape before it is too late? 'What Have You Done?' deals with the legacy of the conflict in Northern Ireland, as a civil servant comes face to face with an ex-terrorist, leading him to discover how the previous generation coped with living through the worst of the Troubles. These, and seven other stories, touching on sport, fatherhood, arachnophobia, faith, and cannibalism, make up an exciting collection of short fiction which will leave readers wanting more.